Whether you found a near-to-perfect home to move in only it is missing a few stuffs from your imagination or over the time you realised a few modification can make your current home even homier, we know how important it is to have a place that suits cent percent to your taste and comfort. Renovating your existing home with custom home additions will be a cost-effective option to give your home a new and fresh look. 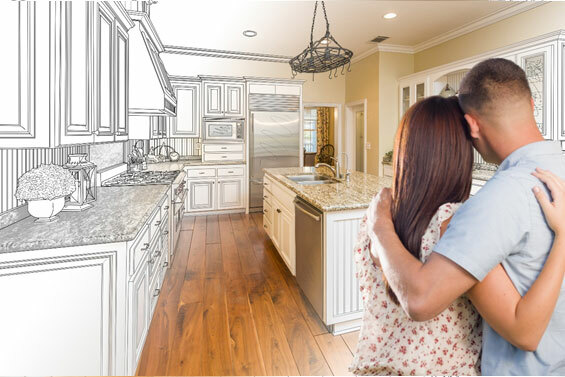 With a custom renovation you can turn your near-to-perfect home into a perfect one. This cost-effective option can give your home a new and fresh look, and add a finesse to your home interior too. You can simply have a chat with your builder and give them the design specifics sharing what you want to do in your home renovation, and they will take care of the rest. You can do many things to upgrade your home to give it a modern and fresh look with an increased functionality. You can consider giving the attic or the basement a makeover, it can increase your home’s liveable space. Besides, studies on real estate values report that a home with functional basement or attic has more property value in the market. You can build an additional room, or upgrade the existing rooms, remodel your kitchen or bathroom for more efficiency and aesthetic appeal. Other than the basics, you can also include mini suite, home gym, home office, media room, man cave and even a sauna. You can include custom cabinetry to increase the functional space in your home. Why should you do a home renovation? More functionality: A home remodelling can increase the functional space in your home and also can add the efficiency to the home structure. More comfort: You can do changes in your home as per your convenience and demand. If there is something you feel can make your home more comfortable for you, a renovation can make it happen. More aesthetic appeal: Other than the increasing functionality factor, you can give your home the aesthetic touch it deserves. There might be options for your home renovation you don’t know of which can be more suitable to your home and prove to be more efficient. Because professional builders have experience in this field, they can offer you such choices for renovation and remodelling. If you want a storage unit, they can come up with choices like basement/attic makeovers, upgrade to your current storage space or else. During your initial meeting, you can have a discussion on what you want and what they suggests, and after considering all the available options, you can decide what to and what not to do to your home. Make sure your renovation contractor works closely with you and their staffs to finalise the renovation project for your home.